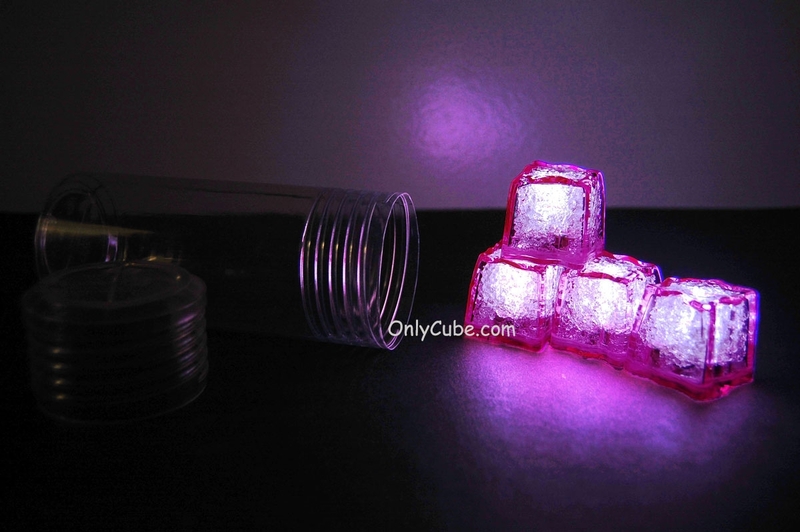 Our Jewel Pink 3 Mode LED light up ice cubes have a pink acrylic shell and are illuminated by 2 ultra bright internal LEDs. They can be toggled between fast flash, slow flash, and steady on with a push of a button. 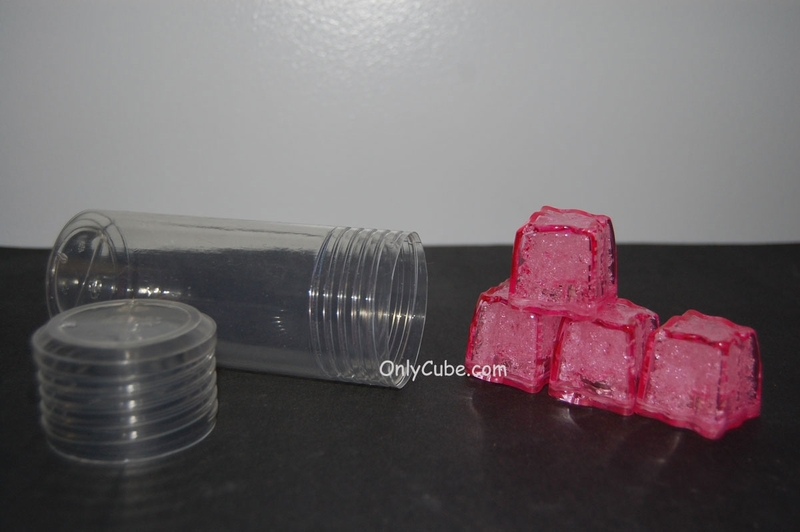 Pink LiteCubes make any girls night out or girly event complete! 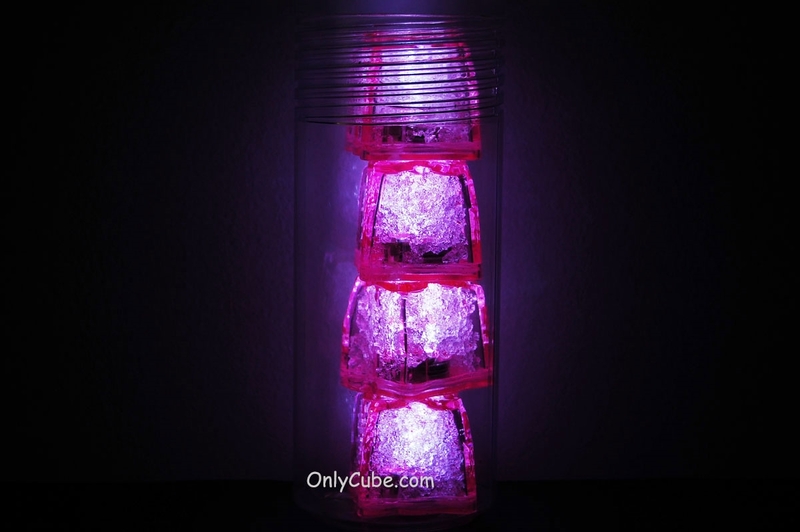 Each set purchased includes 4 cubes in a plastic tube with screw top lid. Just tie on a ribbon or bow and it's ready for giving!